It's time to dance in Barcelona city with great songs of Bruno Mars. I guess Bruno Mars concert in Barcelona 2017 is one of the good events this year. 2017 Barcelona events are numerous and this concert is gonna be rip-roaring. Peter Gene Hernandez whose stage name is Bruno Mars has been singer since 2005 and we can remember him with alternative hip hop, pop, soul and rock. He has become famous with the song Just the Way You Are and The Lazy Song and The Grenade are his other famous songs too. Bruno Mars concert will be held in Palau Sant Jordi Arena which is located at Montjuic Hill on 7th April 2017 at 21.00. 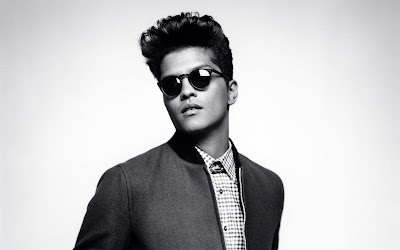 You can buy Bruno Mars concert tickets at http://www.ticketmaster.es/artist/bruno-mars-tickets/346863?language=en-us . The price is changing so be hurry if you plan a Barcelona city travel in 2017. For more Barcelona events in 2017 please follow Barcelona city guide and don't forget to check Events part at the site. Enjoy the music and dance.